“The little party broke up. Mr. Lincoln had been cordially received, but certainly had not been flattered. ; The others shook him by the hand and, as they put on their overcoats, said: ‘Mr. Nott is going down town and he will show you the way to the Astor House.’ Mr. Lincoln and Mr. Nott started on foot, but the latter observing that Mr. Lincoln was apparently walking with some difficulty said,’Are you lame, Mr. Lincoln?’ He replied that he had on new boots and they hurt him. The two gentlemen then boarded a street car. When they reached the place where Mr. Nott would leave the car on his way home, he shook Mr. Lincoln by the hand and, bidding him good-bye, told him that this car would carry him to the side door of the Astor House. Mr. Lincoln went on alone, the only occupant of the car. The next time he came to New York, he rode down Broadway to the Astor House standing erect in an open barouche drawn by four white horses. He bowed to the patriotic thousands in the street, on the sidewalks, in the windows, on the house-tops, and they cheered him as the lawfully elected President of the United States and bade him go on and, with God’s help, save the Union. “His companion in the street car has often wondered since then what Mr. Lincoln thought about during the remainder of his ride that night to the Astor House. The Cooper Institute had, owing to a snow-storm, not been full, and its intelligent, respectable, non-partisan audience had not rung out enthusiastic applause like a concourse of Western auditors magnetized by their own enthusiasm…. When we have such a speech as that of Abraham Lincoln, of Illinois, delivered at the Cooper Institute last evening to a crowded, deeply interested and enthusiastic audience, we are tempted to wish that our columns were indefinitely elastic. We have made room for Mr. Lincoln’s speech notwithstanding the pressure of other matters, and our readers will see that it was well worthy of the deep attention with which it was heard. That part of it in which the speaker places the republican party on the very ground occupied by the framers of our constitution and fathers of our republic, strikes us as particularly forcible. In this great controversy the Republicans are the real conservative party. They simply adhere to a policy which had its origin with George Washington of Virginia, Benjamin Franklin of Pennsylvania, Abraham Baldwin of Georgia, Alexander Hamilton of New York, and other men from other states worthy to be named with them. It is remarkable how perfectly all the eminent statesmen of that age were agreed upon the great question of slavery in the territories. They never though of erecting the slaveholding class into an oligarchy which was to control the political administration of the country, dictate to the judiciary, and invade and occupy the new regions possessed by the confederation. They regarded it — and this fully appears from authentic and undisputed records — by a consent next to unanimous, as a class which was never to exist beyond the limits of the old thirteen states. All the clamor about northern aggression, all the menaces of a dissolution of the Union, have only this grievance as their cause, that we think as Washington thought, hope as he hoped, and act as he acted; and they have only this object in view — to force us from the course he approved and which our conscience approves still, and to compel us to adopt a new policy, new measures, new views of the meaning of the constitution, opening the gates of the territories of the barbarian institution which our fathers intended should wither into decreptitude, and pass to its dissolution within its original limits. All this may not be new, but it is most logically and convincingly stated in the speech — and it is wonderful how much a truth gains by a certain mastery of clear and impressive statement. But the consequences to which Mr. Lincoln follows out the demands of these arrogant innovators give an air of novelty to the closing part of his argument. What they require of us is not only a surrender of our long-cherished notions of constitutional rights, inherited from our ancestors and theirs; not only a renunciation of the freedom of speech, but a hypocritical confession of doctrines which revolt both our understanding and our conscience, a confession extorted by the argument of the highwayman, the threat of violence and murder. There is to be no peace with the South till the slaveholders shall have forced us to say that slavery is right — not merely to admit it by silence, but to shout the accursed doctrine with all the strength of our lungs. The Speech of Abraham Lincoln at the Cooper Institute last evening was one of the happiest and most convincing political arguments ever made in the City, and was addressed to a crowded and most appreciating audience. Since the days of Clay and Webster, no man has spoken to a larger assemblage of the intellect and mental culture of our City. Mr. Lincoln is one of Nature’s orators, using his rare power solely and effectively to elucidate and to convince, though their inevitable effect is to delight and electrify as well. We present herewith a very full and accurate report of this Speech; yet the tones, the gestures, the kindling eve and the mirth-provoking look, defy the reporter’s skill. The vast assemblage frequently range with cheers and shouts of applause, which were prolonged and intensified at the close. No man ever before made such an impression on his first appeal to a New-York audience. 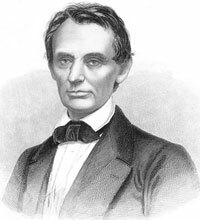 Mr. Lincoln speaks for the Republican cause tonight at Providence, R.I., and it is hoped that he will find time to speak once or more in Connecticut before he sets his face homeward. Harry Houston Peckham, Gotham Yankee: A Biography of William Cullen Bryant, p. 146. Carl Sandburg, Abraham Lincoln: The Prairie and the War Years, p. 165. George Haven Putnam, Abraham Lincoln: The People’s Leader in the Struggle for National Existence, p. 217 (Account of Charles Nott). Andrew A. Freeman, Abraham Lincoln Goes to New York, p. 89. David Herbert Donald, Lincoln Reconsidered, p. 240. Robert S. Harper, Lincoln and the Press, p. 45. Herbert Mitgang, editor, Lincoln as They Saw Him, p. 156-158 (New York Evening Post, February 28, 1861). Andrew A. Freeman, Abraham Lincoln Goes to New York, p. 95. Herbert Mitgang, editor, Lincoln as They Saw Him, p. 158.